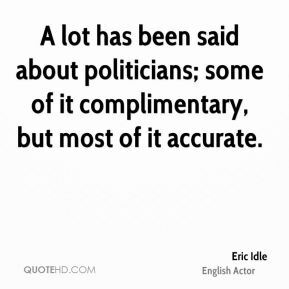 A lot has been said about politicians; some of it complimentary, but most of it accurate. 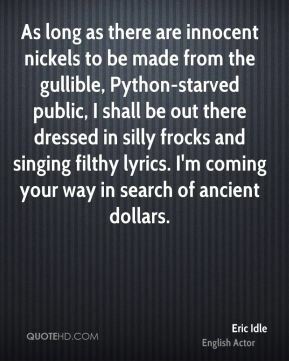 As long as there are innocent nickels to be made from the gullible, Python-starved public, I shall be out there dressed in silly frocks and singing filthy lyrics. I'm coming your way in search of ancient dollars. 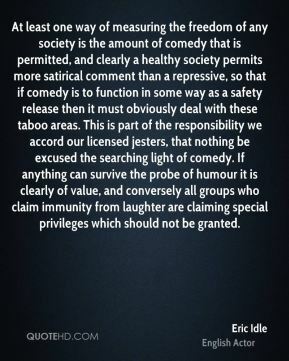 At least one way of measuring the freedom of any society is the amount of comedy that is permitted, and clearly a healthy society permits more satirical comment than a repressive, so that if comedy is to function in some way as a safety release then it must obviously deal with these taboo areas. This is part of the responsibility we accord our licensed jesters, that nothing be excused the searching light of comedy. 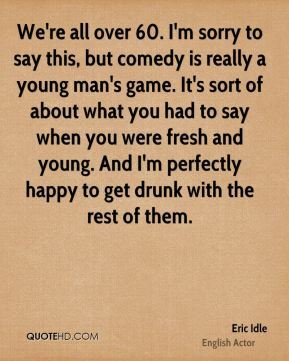 If anything can survive the probe of humour it is clearly of value, and conversely all groups who claim immunity from laughter are claiming special privileges which should not be granted. 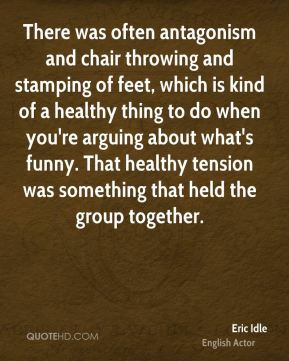 I like the idea of being out there regularly with an audience and with a funny gang of people. 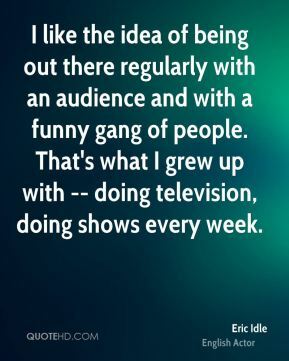 That's what I grew up with -- doing television, doing shows every week. We're like his test audience. 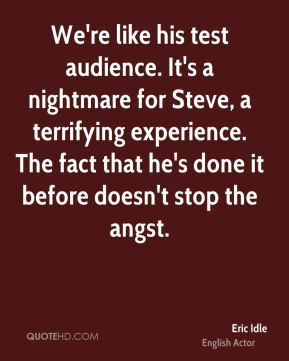 It's a nightmare for Steve, a terrifying experience. The fact that he's done it before doesn't stop the angst. 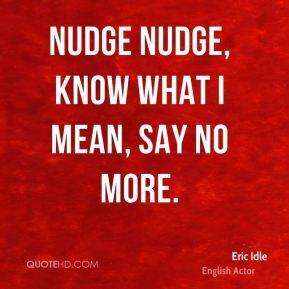 Nudge nudge, know what I mean, say no more. 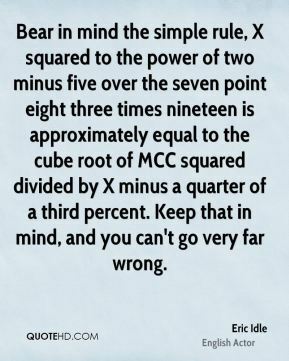 Bear in mind the simple rule, X squared to the power of two minus five over the seven point eight three times nineteen is approximately equal to the cube root of MCC squared divided by X minus a quarter of a third percent. Keep that in mind, and you can't go very far wrong. To me, the musical is best when it's a musical comedy, ... 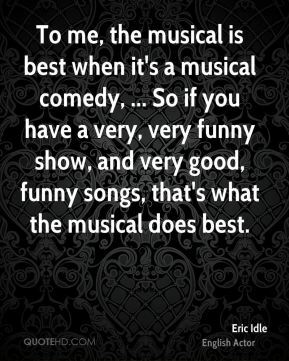 So if you have a very, very funny show, and very good, funny songs, that's what the musical does best. 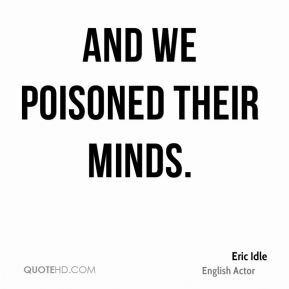 And we poisoned their minds. 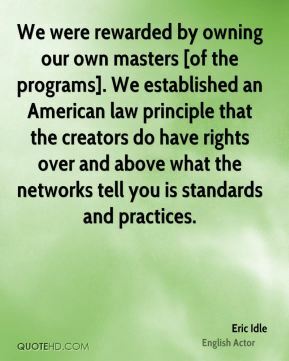 We were rewarded by owning our own masters [of the programs]. We established an American law principle that the creators do have rights over and above what the networks tell you is standards and practices. 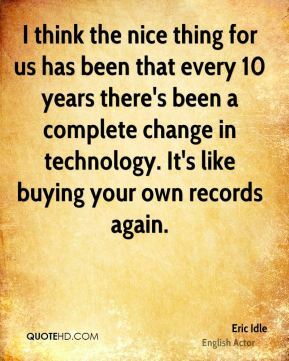 I think the nice thing for us has been that every 10 years there's been a complete change in technology. It's like buying your own records again. The lovely thing for us is, because it is digital, it can still look really fresh and new. 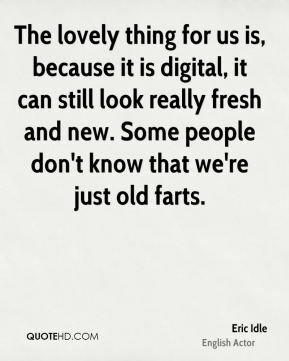 Some people don't know that we're just old farts. 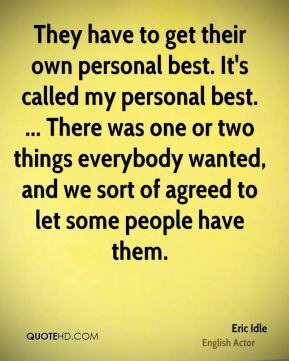 They have to get their own personal best. It's called my personal best. ... There was one or two things everybody wanted, and we sort of agreed to let some people have them. It was extraordinary. I mean, for us it was just an amazement that people were watching it in Dallas of all places and were loving it. 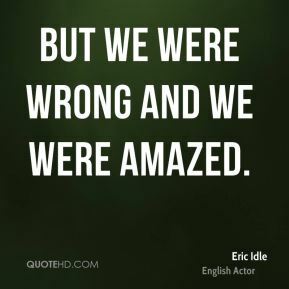 But we were wrong and we were amazed. Because we hate each other. I'm perfectly happy to get drunk with the rest of them. I was just in London, and we had a really spectacular dinner. But I think it should go no further. We've earned that. 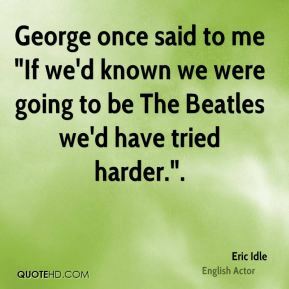 George once said to me "If we'd known we were going to be The Beatles we'd have tried harder.". 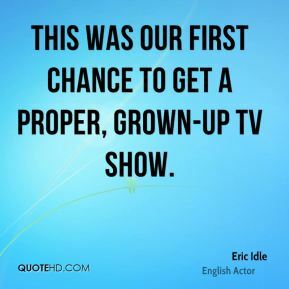 This was our first chance to get a proper, grown-up TV show. I think he's the most intelligent man I've ever met. 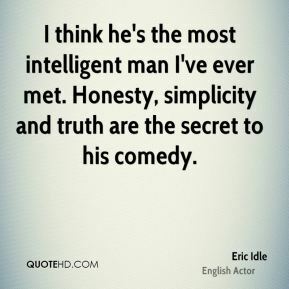 Honesty, simplicity and truth are the secret to his comedy.